The online version of this article ( https://doi.org/10.1186/s12954-019-0294-6) contains supplementary material, which is available to authorized users. We estimated the mortality hazard ratio (HR) using the Cox Proportional Hazards Model , incorporating the following covariates into the model: (1) gender, (2) race, (3) age, (4) BMI—for the NHIS data only (not available in the NLMS dataset), (5) educational attainment, (6) family income, (7) health status, (8) tobacco use, and (9) cigarettes smoked per day. 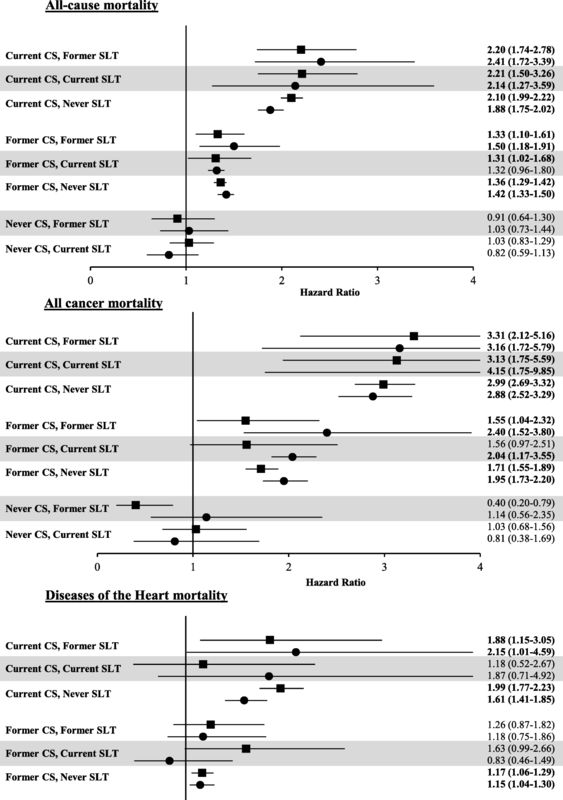 We selected these covariates based on previously published research which used similar models for estimating mortality hazard ratios for other purposes [20, 21, 22, 23, 24, 25, 26, 27, 28]. We evaluated the proportionality assumption of the hazard models through tests of the log-log survival curves, scaled Schoenfield residual plots, and standardized score process plots, as a function of follow-up time. The proportionality assumption was generally upheld. The Breslow method of handling ties was used . In the all-mortality model, a person was censored if they are “presumed alive” by the non-match to the National Death Index (when matching variables are present). Data on follow-up mortality is limited to eligible adults who have a valid combination of social security number (SSN), birth data, and name. In the all-cause mortality model, a person is censored if they are “presumed alive” by a non-match to the NDI as determined by the National Center for Health Statistics data linkage team. For the disease-specific mortality model, a person is censored if they are “presumed alive” by the non-match to the National Death Index, as determined by the NCHS data linkage team, or if they die from a cause other than the one being modeled. Public health agencies, including the United States Food and Drug Administration, acknowledge a continuum of risk among tobacco products, with combustible tobacco products (e.g., cigarettes) being the most harmful along this continuum and noncombustible tobacco products (e.g., SLT) being less harmful [6, 8, 37, 38]. Cigarette smoking is the leading preventable cause of death in the USA, primarily due to lung cancer, respiratory disease, and cardiovascular disease . 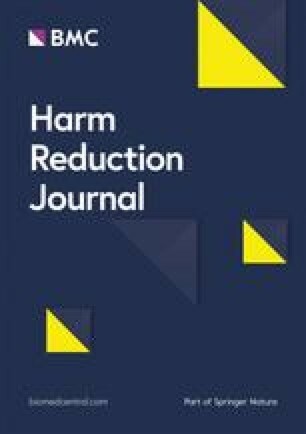 Studies with SLT users demonstrate that SLT products available in the USA may reduce the harm from cigarette smoking by providing a substantially lower risk alternative to those smokers who are unable or unwilling to cease using tobacco products [39, 40, 41, 42]. However, others question the utility of SLT products in a harm reduction strategy, since these products are reported to be associated with cancers of the upper aerodigestive tract, particularly the oral cavity, esophagus, and pancreas, and cardiovascular diseases .